London, July 7, 2018 (SPS) – NGO Western Sahara Resource Watch (WSRW) warned on Thursday the arrangements included by the European Commission to the EU-Morocco deal, including Western Sahara occupied territories. The Commission tries to misguide the Member States concerning the consultation process launched to "comply" with the European Court of Justice (ECJ) in December 2016, which had rejected the inclusion of Western Sahara in the EU-Morocco Association Agreement. 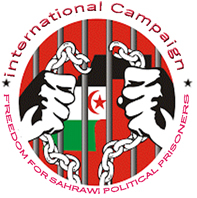 "On 11 June, the Commission sent a proposal it had negotiated with Morocco regarding trade with Western Sahara products, for approval to the EU Member States and the EU Parliament,” said the NGO in a statement, stressing that the proposal comes on the back of a Judgment by the Court of Justice of the European Union (CJEU) of December 2016, stipulating that no EU-Morocco trade or association agreement could be applied to Western Sahara, unless with the consent of the people of the territory. The Commission presents the proposal as beneficial to the "local populations", though not backing that claim up with any independent analysis or statistics, said the Non-governmental Organization.